ABSOLUTELY GORGEOUS! 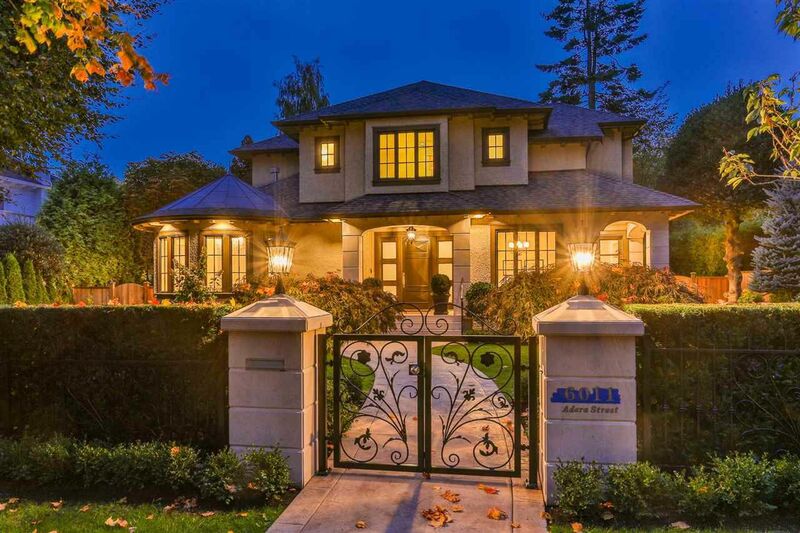 DEFINITELYONE OF KIND, MAGNIFICENT CUSTOM BUILT HOME IN MOST PRESTIGIOUS SOUTH GRANVILLE. Almost 5,400 sq.ft. RENOVATED HOME TO ITS HIGHEST STANDARD sits on a beautifully landscaped lot 76.50 x 125.50 (9,600 sq.ft.). BEAUTIFUL STREET APPEAL SURROUNDED WITH MANY MILLIONS DOLLARS NEW HOME. This home simply offers supreme finishing & full attn. to detail, extensive used MABLE & HARDWOOD FLOOR thru-out. Grand foyer with high ceiling open to living & dining rooms, 6 bedrooms & den, 6.5 baths. Large gourmet kitchen with high-end cabinetry & appliances. WOK KITCHEN, HOME THEATRE, WET BAR, STEAM SHOWER, RADIANT FLOOR HEATING, A/C, HRV, SECURED PRIVATE YARD WITH PARK-LIKE GARDEN. Steps away from MAGEE HIGH SCHOOL, MAPLE GROVE ELEMENTARY, YORK HOUSE, CROFTON, ST. GEORGE'S PRIVATE SCHOOL, UBC. MUST SEE!